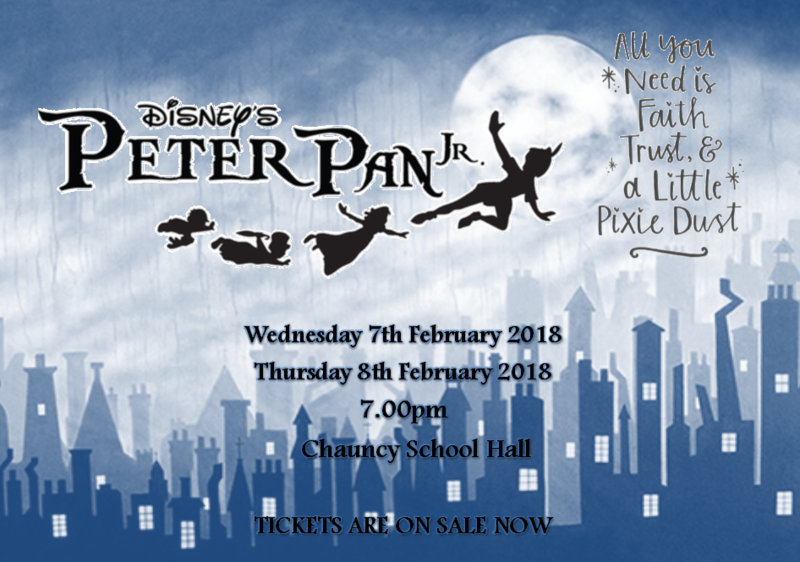 This year’s school production is PETER PAN. The cast have been rehearsing for the last three months and ‘opening night’ is rapidly approaching. Based on the Disney film and J.M. Barrie’s enchanting play, Disney’s Peter Pan JR. is a modern version of the timeless tale about a boy who wouldn’t grow up! Wendy Darling loves to tell stories to her brothers, Michael and John. But when her father announces she must move out of the nursery, Peter Pan comes to visit the children and whisks them away to Neverland. Their journey introduces them to the Lost Boys, Mermaids, Indians and even the infamous pirate, Captain Hook! The play will be showing for two nights only in February – Wednesday 7th and Thursday 8th at 7.00pm. Tickets are in high demand and will be allocated on a first come, first served basis, so book now to avoid disappointment. The cost of the tickets is £5.00.